The warmer weather we’ve had recently has really got me into that summer mood, so I decided to do a cheeky wishlist. 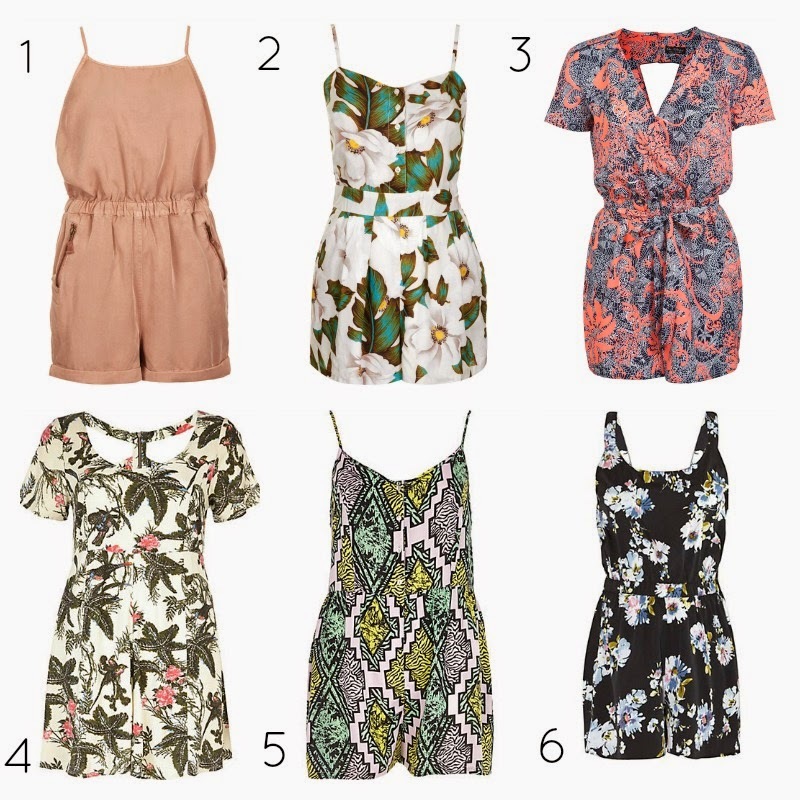 Playsuits are a summer staple, they’re not too tight on the skin, comfortable and easy to style! My favourites from this list have to be 2 and 4. Number 2 is a print I have completely fallen for from Topshop, they also have it in a Joni Jeans version and I have a feeling I may have to purchase them soon! I really like how number 4 looks more like a skirt, it’s a pretty print and I like the cutout on the back too.